The NASA spacecraft has now covered 277 million km since its launch 107 days ago and in another 98 days, it will travel another 208 million km and touch down in Mars' Elysium Planitia region. 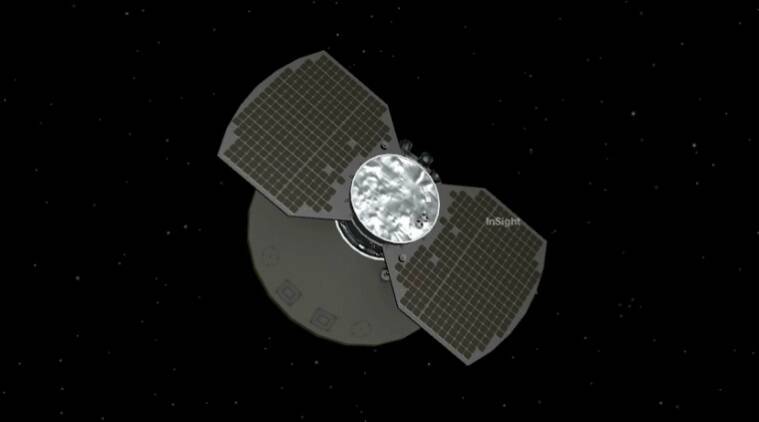 NASA’s InSight spacecraft that is en route to Mars, has passed the halfway mark to its destination and all its instruments are working well, the US space agency said. InSight stands for Interior Exploration using Seismic Investigations, Geodesy and Heat Transport. The spacecraft, which crossed the halfway mark on August 6 is expected to land on Mars on November 26 to study the Red Planet’s deep interior, NASA said in a statement on Monday. The spacecraft has now covered 277 million km since its launch 107 days ago and in another 98 days, it will travel another 208 million km and touch down in Mars’ Elysium Planitia region. Earlier the lander’s launch and landing were scheduled around Mars’ closest approach to Earth that occurred on July 31. However, it was delayed by the Martian storm that has engulfed the Planet and has cut off communication with another NASA robot, the Mars rover Opportunity. NASA engineers used this long travel time to plan, activate and check spacecraft subsystems vital to cruise, landing and surface operations, including the highly sensitive science instruments, the statement said. The instruments aboard the spacecraft include a seismometer, which will be used to detect quakes on Mars, and a self-hammering probe that will measure the amount of heat escaping from the planet’s interior. It also has cameras to take a “selfie” of the mission’s equipment. “If you are an engineer on InSight, that first glimpse of the heat shield blanket, harness tie-downs and cover bolts is a very reassuring sight as it tells us our Instrument Context Camera is operating perfectly. The next picture we plan to take with this camera will be of the surface of Mars,” said Tom Hoffman, InSight Project Manager from NASA’s Jet Propulsion Laboratory in California. The camera will take the first image of Elysium Planitia minutes after InSight touches down on Mars in November.